Dynamics of a cosymmetric system of nonlinear parabolic equations is studied to model of population kinetics. 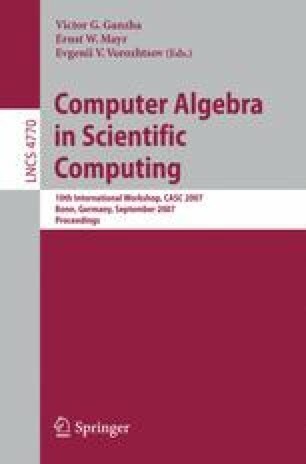 Computer algebra system Maple is applied to perform some stages of analytical investigation and develop a finite-difference scheme which respects the cosymmetry property. We present different scenarios of evolution for coexisted nonstationary regimes and families of equilibria branched off of the state of rest.